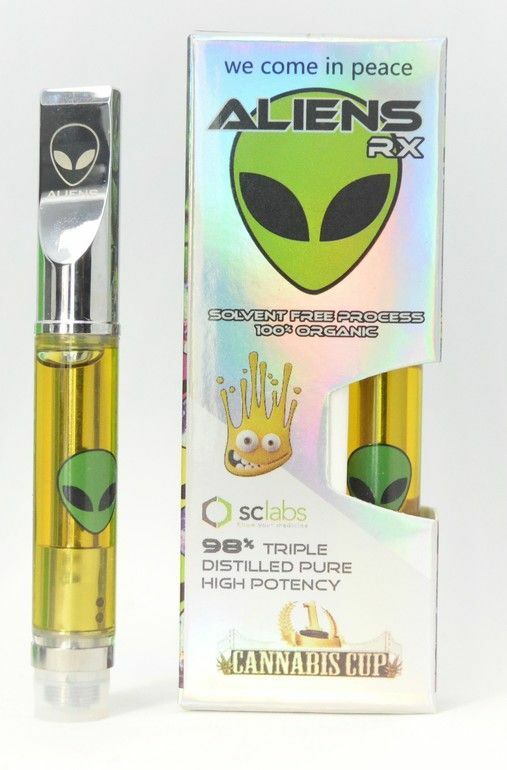 AliensRX - Grape Ape Triple Distilled Pure Vape Cartridge. Full gram tested by sclabs. Created solvent free making it 100% organic.